Neddy the Yeti was on the loose again at the office. This time he staked his claim atop a Caramel Nepali Trekker Journal and a Nepali Traveler Journal. Perhaps Neddy feels a kinship to the handmade Lokta paper from Nepal that’s inside our journals. Either that, or he really just likes climbing on top of stuff. Maybe Neddy likes the new caramel colors for the Trekker and Traveler journals. The leather comes from water buffalo hides which are vegetable-tanned using mimosa bark which produces a rich caramel color. 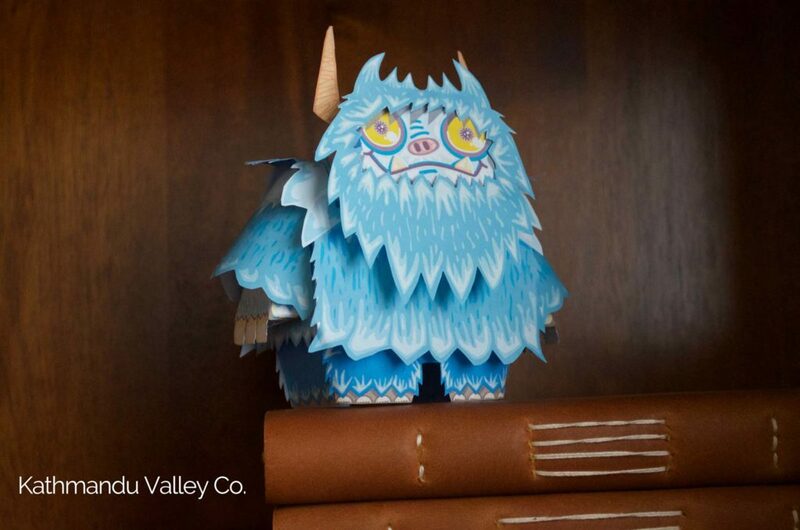 Or it could be that the yeti has an affinity for the lokta paper. The paper is made from lokta bushes which grow high in the himalayas and are harvested by hand. New shoots grow back from cuttings of the lokta bush making it a renewal source for the paper. The fibrous inner-bark is separated and cooked into a mashy pulp which is then hand applied to boxed screens and set to dry in the Himalayan sun. The drying process fuzes the fibers, creating one of the most unique and most sought-after handmade papers in the world. We think it makes Neddy feel comfortably at home. Neddy is the work of the brilliant Bryan C. Ratliff. If you would like Neddy to visit your home, you can view Neddy the Yeti template here. 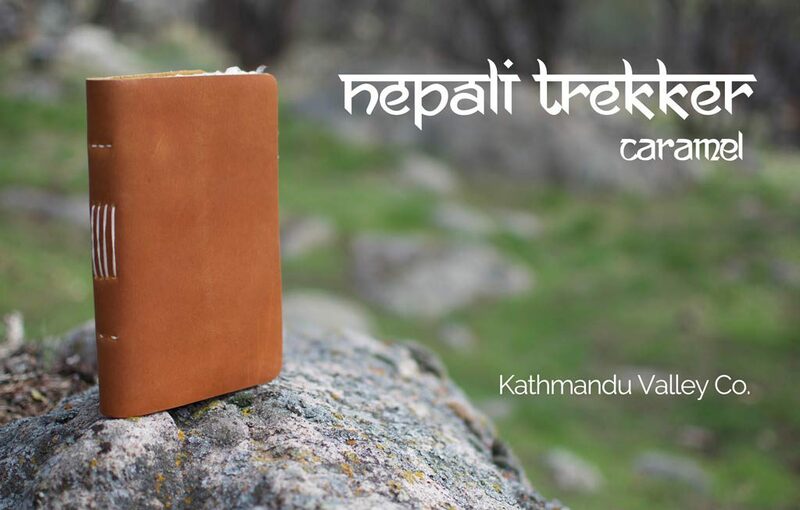 If Neddy will let relinquish control for a few minutes so we can take more pictures, we can show you our new caramel Nepali Trekker and Nepali Traveler Vintage Journals.